Out Dodging Boxes has got a major update! First off the music update that we promised has been done so now music actually works as intended. Secondly the game now loads levels in a different way making the game slightly more difficult. 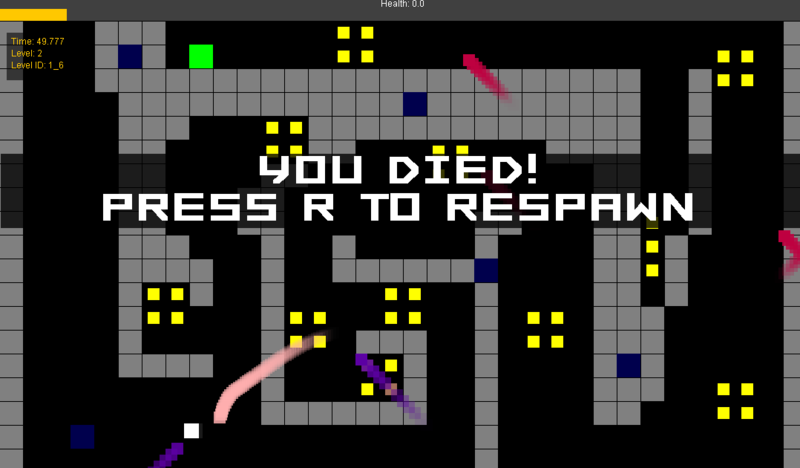 From now on if you die in a level you will have to replay it till you beat it and move on to the next one. Also levels no longer get repeated IE if level 2 was 1_3 then you will never see that level outside of level 2. There is also Three new enemies/ block types: Faster Smart Enemy, Bigger Badder Block and a Turret. The turret fires bullets that deal 5 damage at you at a alarming rate. Finally the ui has gotten a overhaul. 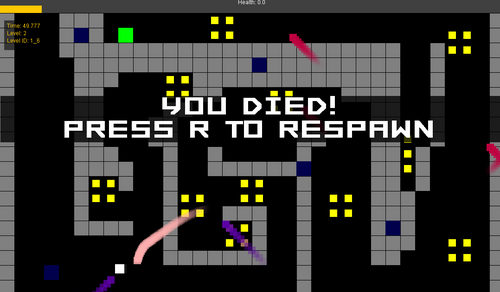 The death screen is now easier to see and the text in the upper left is more legible on top of that there is now a bar indicating how many gold pieces you have left. There are a few new levels in place to help showcase the new blocks. Next update should include a revamp of level loading to possibly include custom levels!